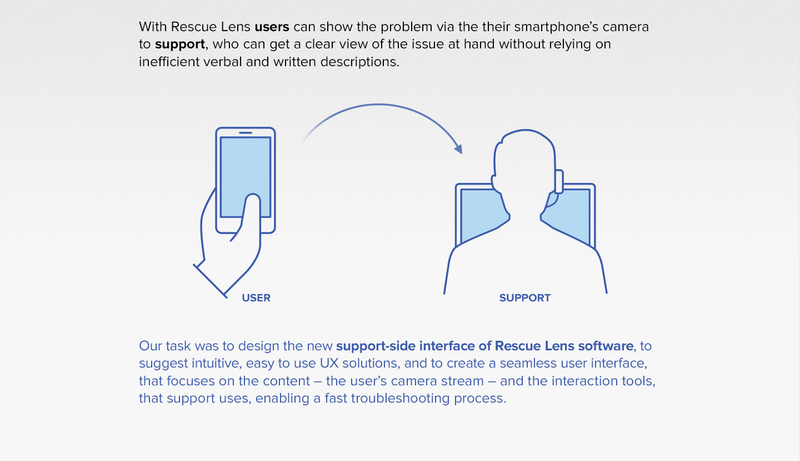 UX and UI design for LogMeIn's Rescue Lens support-side interface. 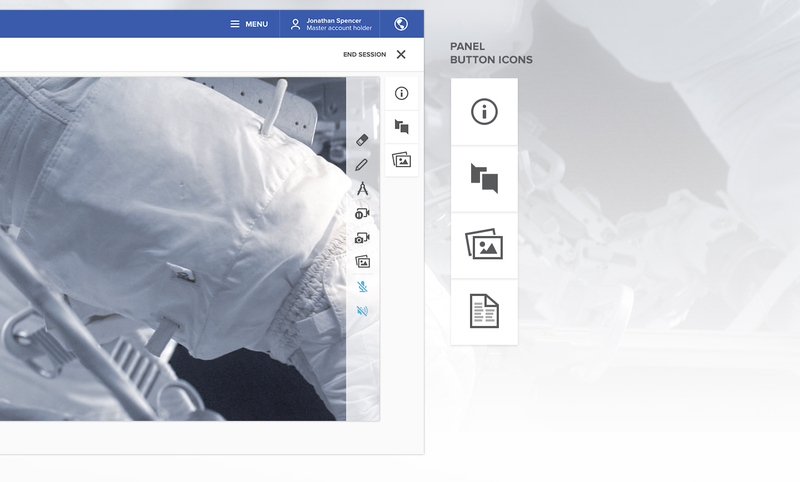 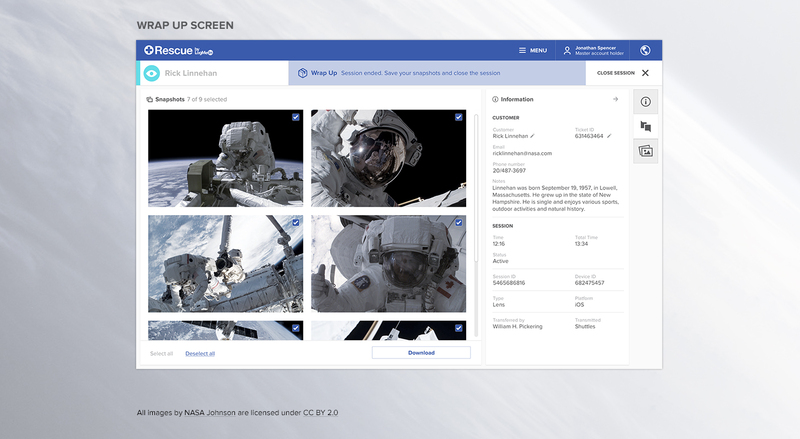 Design the new support-side interface of Rescue Lens software, to suggest intuitive, easy to use UX solutions, and to create a seamless user interface, that focuses on the content: the user’s camera stream, and the interaction tools, that support uses. 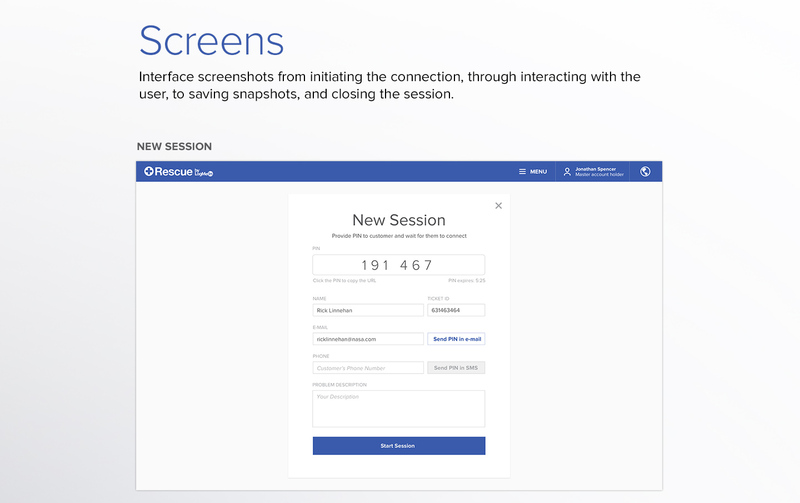 We redesigned the application's screens from starting the connection through interacting with the user, to saving snapshots, and closing the session. 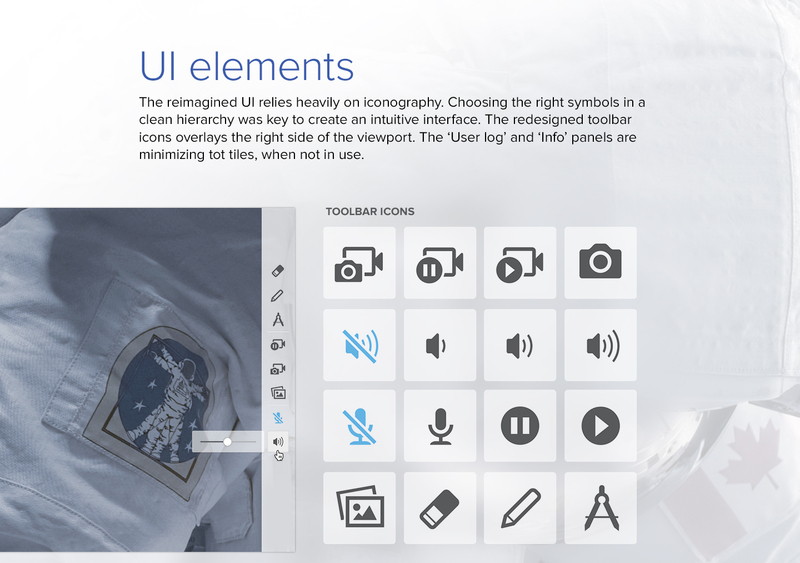 We reimagined the UI relieing heavily on iconography. 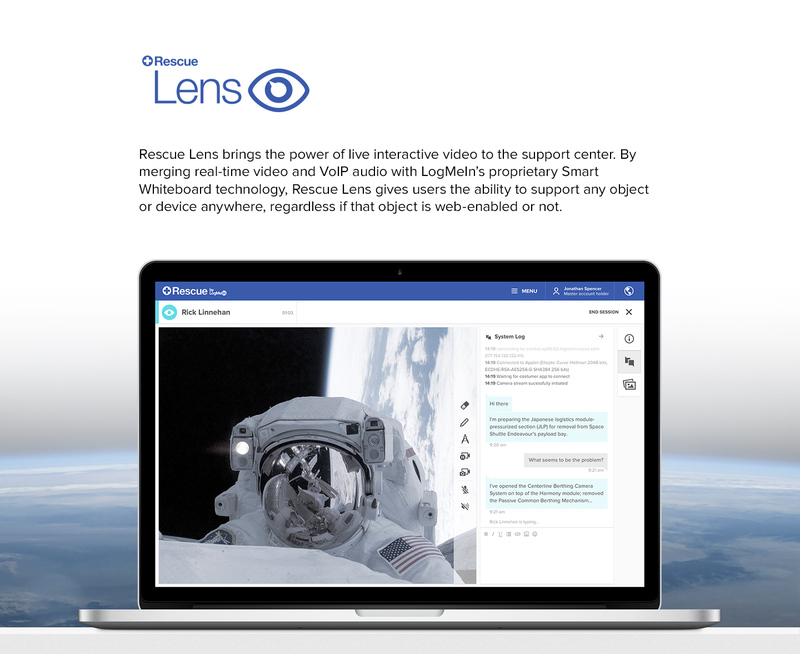 Find us at the left staircase, on the mezzanine, opposte the yoga room.